Esther was born and raised in Norwich and completed her nurse training at the University of East Anglia in 2003. Initially qualified with a Diploma in Higher Education but completed a Bachelor of Science degree in Nursing in 2006. 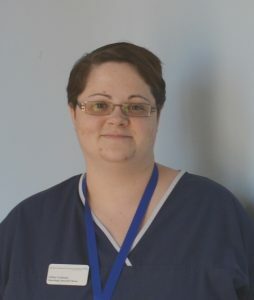 Esther has previously worked in Older People’s Medicine, Nephrology (particularly dialysis), Emergency Medicine and Neurology Research before becoming a Neurology Specialist Nurse with a special interest in multiple sclerosis (MS). In April 2018 the neurology specialist nursing service underwent reconfiguration, enabling Esther to become a MS Specialist Nurse. Debbie was born in Leicestershire and moved to Norfolk as a teenager. 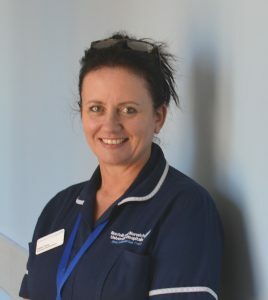 After working as a community healthcare assistant caring for patients with complex neurological conditions she undertook her nurse training at the University of East Anglia and qualified with a BSc (Hons) degree in adult nursing in 2010. Debbie has had experience of working on the acute neurology ward, undertaking disability assessments for the department of work and pensions and undertaking continuing health care assessments. She re-joined the neurology specialist nursing team in 2016 and after reconfiguration in April 2018 became an MS specialist Nurse.